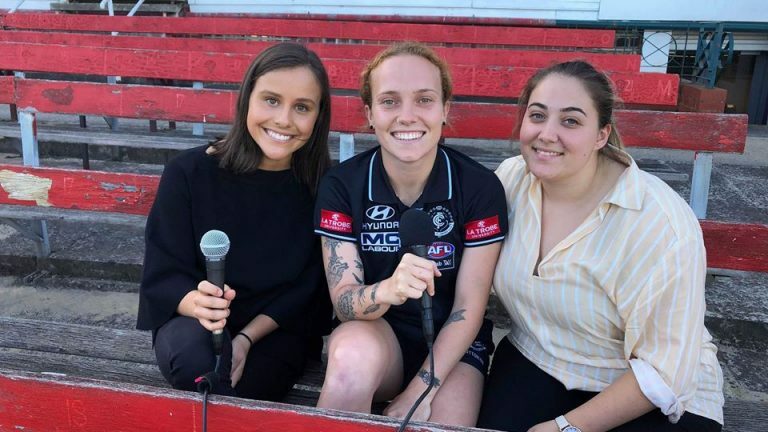 This week Moni and Taylor had the chance to catch up with Carlton AFLW star Tilly Lucas-Rodd ahead of this weekends Grand Final. The girls spoke everything from the beginning of her career and AFLW to the nerves of this weekend. From all of the Sports Desk team we wish Tilly and all the girls at Carlton the best of luck in the AFLW Grand Final. A special thank you the Carlton FC for allowing us to conduct the interview. A huge thank you to our crew Niamh, James and Fabulous director and Co-EP Alexander for their help on putting this together.